HARLINGEN — Hurricane Irma’s raking of the state of Florida from bottom to top has had a serious impact on the state’s citrus industry. As assessments of storm damage continue to flow in from citrus groves statewide, estimates put the total citrus crop loss at somewhere between 50 and 70 percent, Lisa Loch bridge, a spokesperson for the Florida Fruit and Vegetable Association, told CNBC. “Losses are less going north,” she said. While most people might assume such damage from Irma would improve the prospects of Rio Grande Valley citrus growers to earn higher profits, the market reality is more complicated, Texas citrus experts say. 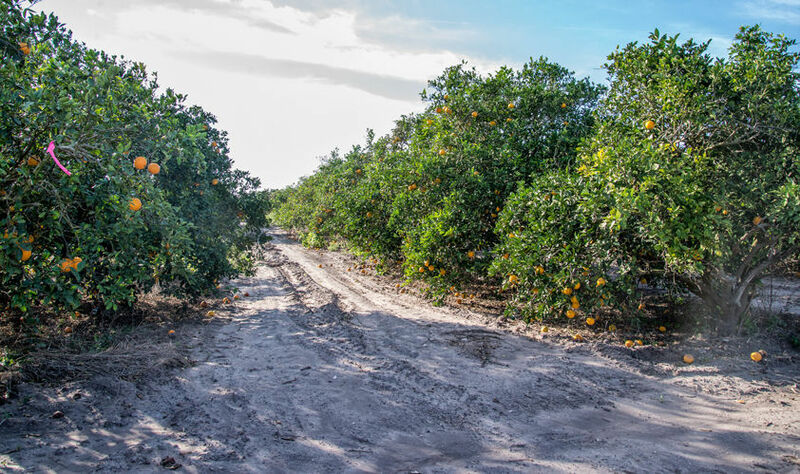 With Florida citrus off-line, consumers may balk at paying inevitably higher prices for the citrus which is available, or they may write off buying any citrus at all until supplies normalize. “Typically when a disaster falls somewhere, demand drives market,” Dale Murden, president of Texas Citrus Mutual in Mission, said yesterday. “Sad to say, but that’s what we say. With Texas’ grapefruit sector one of the state’s agricultural strengths, Murden hopes consumers don’t forego citrus altogether when shortages of oranges occur or juice prices skyrocket. Texas and the RGV managed to dodge the impact of Hurricane Harvey, a storm which had a major impact on agriculture to the north, but little impact on the Texas citrus groves which are mostly in the Rio Grande Valley. Murden said the half-inch or so rainfall Harvey dropped on the Valley was insignificant, but it doesn’t mean the effects of the storm won’t be felt in the future. In the Houston area, there is little commercial production of citrus. But ornamental citrus trees are very popular in yards there, and while they may not be part of a commercial operation, they can still pose a threat to Valley citrus. “From a pest-disease perspective, the storm in Houston could spell disaster for me later,” Murden said. “There are things like cankers that are spread very easily during winds and rain, and that has been found in the Houston area and I’m hoping it doesn’t make its way down here. “Those kinds of storms, they’re bad news, they can spread pest disease issues where you don’t need ‘em,” Murden added. Murden said the Valley’s citrus crop this year looks really good, in both size and quality. “And it looks like the tonnage is there, so I’m pretty happy about that,” Murden added. As for other Florida crops with national reach, Lochbridge said the tomato crop will be light in November but should build back up by December. Strawberry growers, she said, should be quick to recover and harvest should be on time. Florida sugar cane, a half-billion-dollar crop annually, was hit hard by Irma although no estimate of dollar losses has been made, U.S. Department of Agriculture officials said. All in all, some estimates put the total dollar loss from crop damage by Hurricane Irma at $100 million-plus in Florida. “I’ve got a lot of friends and family over there,” Murden said, “and that’s the last thing in the world they need. “They have this citrus greening over there, so they’ve been battling a battle anyway, and it’s not what they needed,” he added.